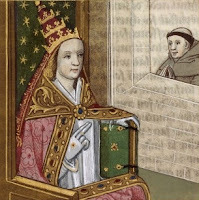 Whether Pope Joan is a figure of fact or fiction is debatable, but according to stories first recorded in the early 13th Century, Pope Joan was a woman who, by dressing like a man, managed to become Pope from 855 to 858. As a knowledgeable young woman, Joan disguised herself as a man and began working within the Roman Catholic Church before becoming a Cardinal and eventually the Pope. 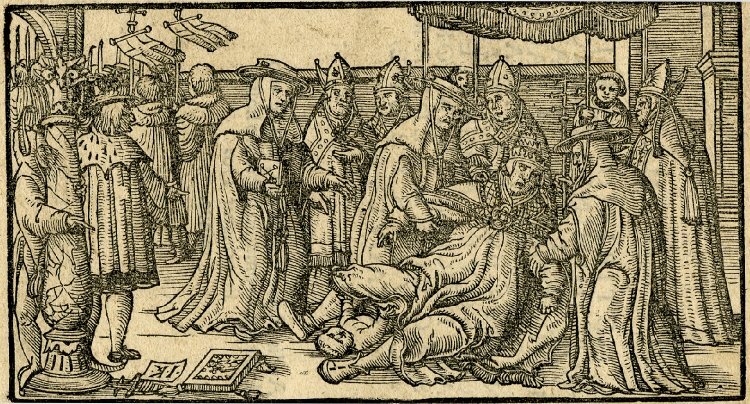 According to most stories, Pope Joan was only outed as a woman when she gave birth, some say while mounting a horse, others claiming it was during a public procession, as seen in the engraving from Giovanni Boccacio’s De Claris Mulieribus (On Famous Women) below. Most accounts say she died soon after – but once again the details differ. 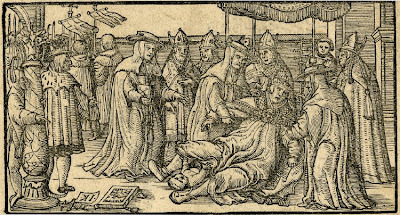 The original account refers to a more gruesome death in which Joan was bound to a horse, dragged and stoned as punishment for her deception. Over time many writers have retold her story in works of fiction and non-fiction (including a recent movie staring David Wenham), while others have rejected it as a myth. 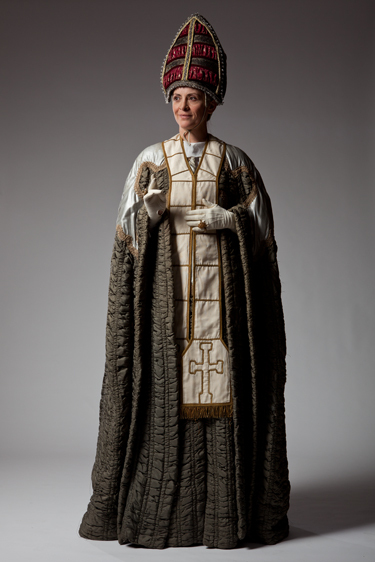 Real or not, Pope Joan will be played by Maria Theodorakis in “Top Girls”: at Southbank Theatre, The Sumner until 29 September.